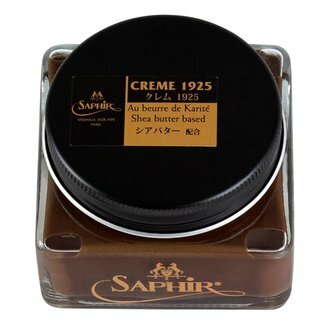 Suede cleaner Gommadin is a cleaner for suede and nubuck sho..
Saphir Beauté du Cuir Crème Surfine shoe cream 50ml is a t..
Saphir Beauté du Cuir Pâte de Luxe shoe wax 50ml is specia..
Saphir Beauté du Cuir Créme Delicate 50ml is a cream which..
Saphir Beauté du Cuir Nano Invulner Protector 250ml is a hi..
Saphir Beauté du Cuir Omnidaim multicleaner 100ml is a clea..
Saphir Beauté du Cuir Gommadin suede gum is a cleaner for s..
You can buy shoe polish at Quality Shop. 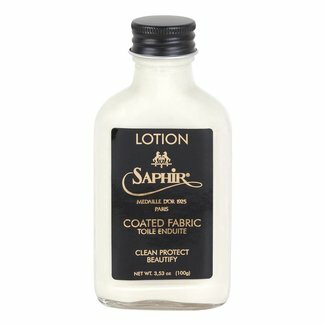 We offer an extensive collection of shoe polishing products to maintain your shoes and other leather items. 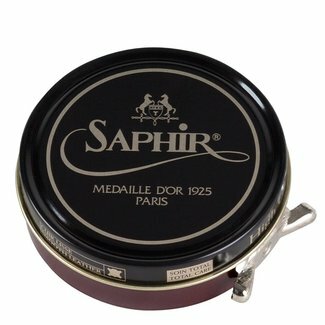 Our collection includes shoe wax, shoe polish and shoe protection sprays from brands such as Saphir Medaille D'or, Saphir Beauté du Cuir, and Famaco. The best shoe polish for leather shoes is based on natural ingredients. A good maintenance product should nourish the leather and protect it in order to maintain an optimal condition. Natural ingredients such as beeswax, lanolin, carnauba, jojoba, almond oil etc. have the best effect on leather. Shoe polish comes in many different compositions. 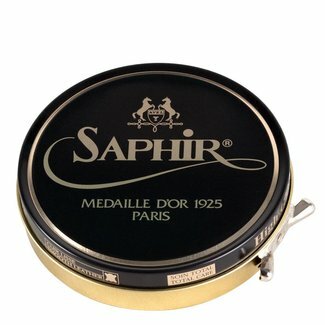 Saphir Medaille D'or is the best shoe polish that exists, and is the top line for shoe maintenance! 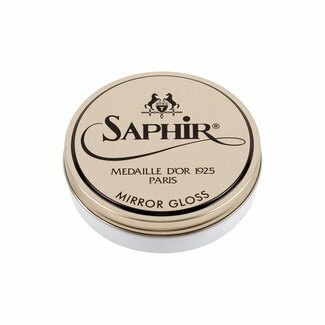 Shoe polish from Saphir Medaille D'or contains mainly natural ingredients, and no harmful ingredients such as silicone and resin solvents. 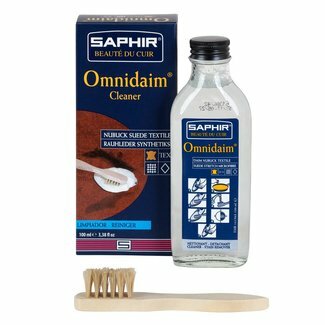 There is a wide variety of products available for cleaning suede and leather. 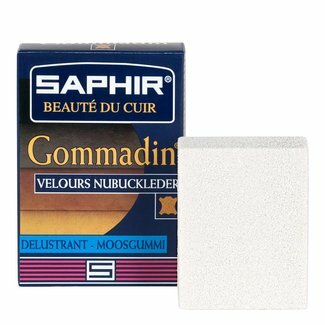 To clean suede you can use Gommadin, a suede eraser with which you can remove superficial stains and roughen the suede. 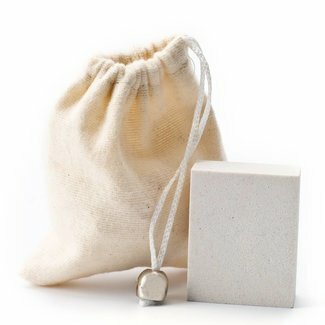 You can also buy suede shampoo to remove stains from suede, nubuck, and sheepskin. 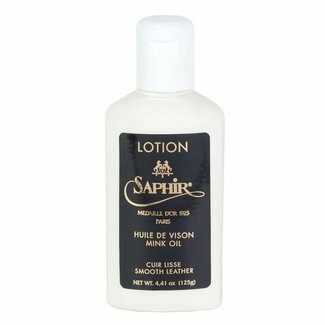 There are also cleaning products for smooth leather, such as saddle soap. 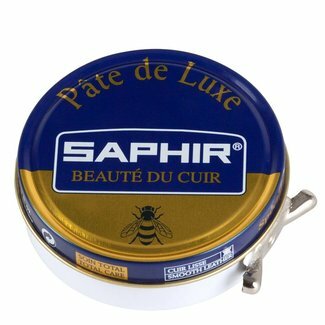 With Saphir Beauté du Cuir Réno'Mat you can remove old layers of shoe polish from leather. 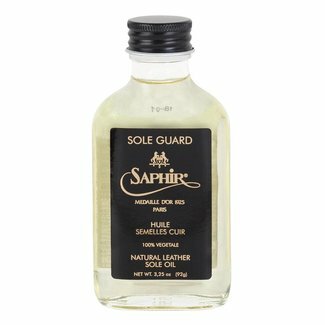 With this product, the leather is cleaned deep into the pores, after which you can treat your shoes with a cream and / or wax. 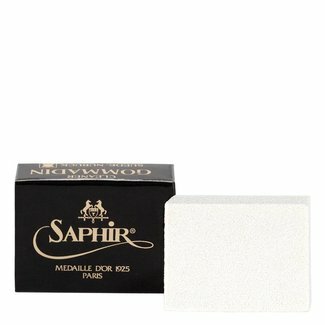 There are various products available for conditioning smooth leather. 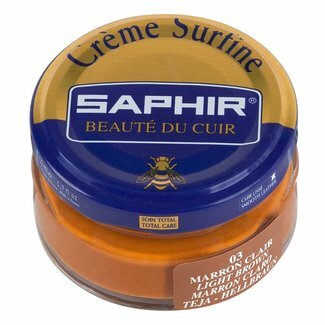 A shoe cream with beeswax is a shoe polish with a color pigment and rejuvenating ingredients. 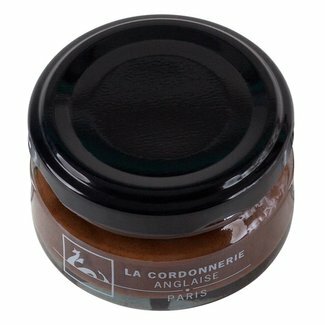 You can choose a shoe cream with a colour pigment that matches the color of your shoes. 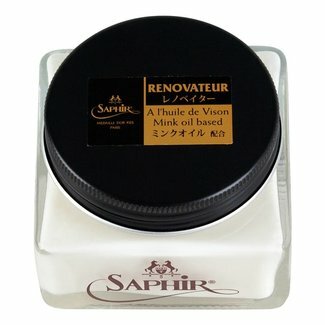 It is also possible to first use Renovator cream. 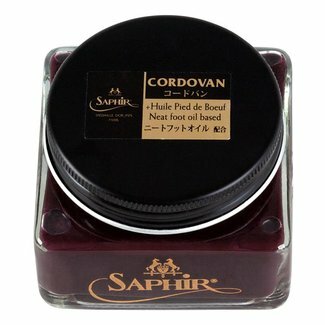 This is a colourless conditioner that keeps the leather soft and supple, after which you can treat the leather with a Saphir Medal D'or Pommadier shoe cream and / or a wax. 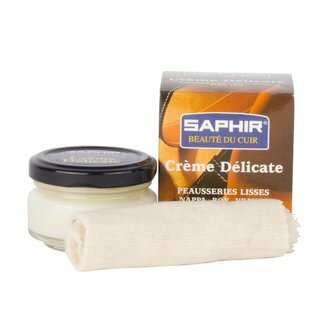 The main difference between shoe cream and shoe wax lies in the substance and composition, cream is much softer than wax. Both products contain colour pigments and condition the leather. Shoe wax also gives a shine and has a protective function. An optimal shine can be achieved by using both cream and wax. Shoe protection spray is used to protect your shoes against water and dirt. 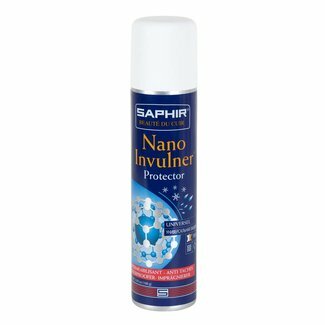 In our webshop you will find various protective sprays. Super Invulner is a dirt and water repellant shoe spray suitable for suede, nubuck, and leather. In addition to various types of leather the Nano Spray also protects textiles against water. You can also choose for Renovator suede shoe spray to treat suede shoes. This is a colour restoring shoe protector spray that also acts as a water-repellent. The suede color restorer is available in five colours. Varnish Rife can be used to treat patent leather shoes, this product prevents cracks in the patent leather and removes finger marks. 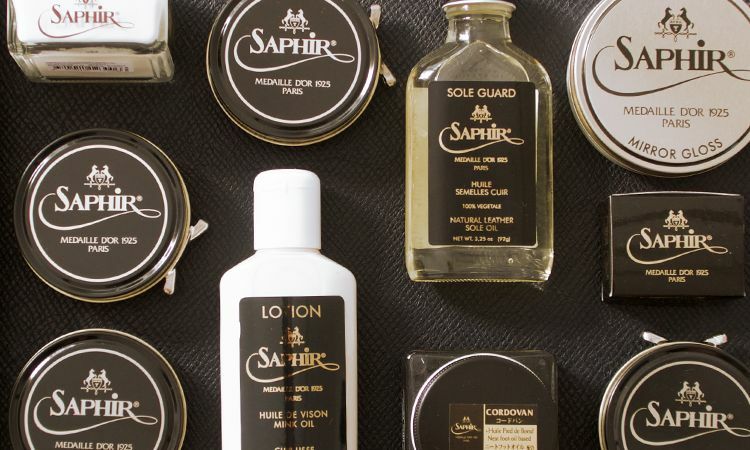 Shoe polish is a broad concept and here you will find everything you need to take care of leather, suede, and nubuck. 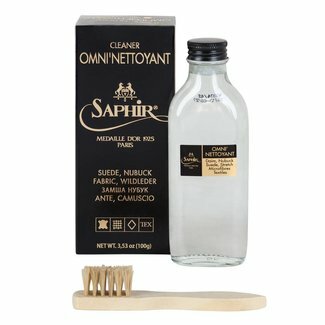 You will also find specific maintenance products such as a fragrance shoe protection spray with menthol, the Reptan shoe cream for exotic leathers, Hiver Winter to remove brine- and snow stains, and penetrating paint for leather shoes. 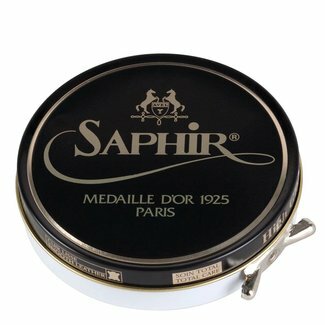 Buying shoe polish online is easy and simple at Quality Shop. Please feel free to contact us if you have any question about shoe polish or the brands we offer.